Place strawberries in a bowl. Top with sugar and mix. Let sit for a bit. Add heavy whipping cream to electric mixer bowl and whisk on high until soft peaks form. Turn mixer to slow, adding powdered sugar and vanilla. Return to high speed and beat until stiff peaks form. Slice each donut and set top slices aside. 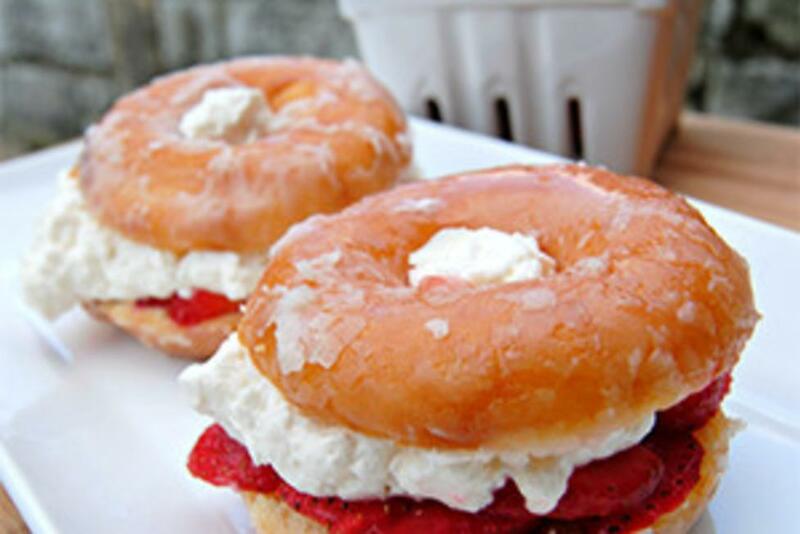 On the bottom of each donut, place 1/4 of the strawberries and top with 1/4 of the whipped cream. Top with the top of the donut.